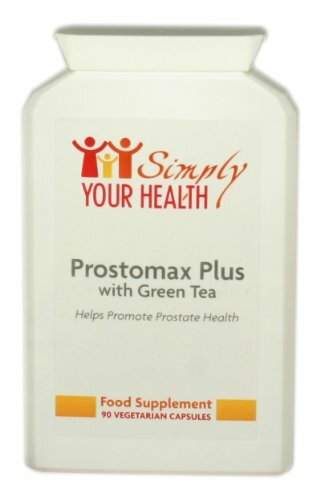 Prostamax Plus with Green Tea (90 Caps). Most urination problems like those listed above are caused by the natural growth of your prostate. As you grow older there is NO way to stop your prostate from growing bigger. But there is a new discovery, used by tens of thousands of men in Europe that will take care of your urination problems. Beta-sitosterol is the common denominator in saw palmetto, Pygeum africanum, pumpkinseed oil, stinging nettles, and other natural prostate remedies. Prostamax Plus capsule contains 800 mg of pure natural mixed beta- sitosterols from plant sources (sugar cane pulp) plus 10 mg of zinc citrate. Each serving of 800 mg has as much sterol content as 3000 capsules of dried saw palmetto berries. You read that correctly-3000 capsules of saw palmetto. This is the only offering of pure beta-sitosterol for nutritional prostate support. Look for a men’s room everywhere you go? Need to “go” so urgently, you can’t wait?